We had a great morning on Sat 2nd March welcoming boys & girls from local schools to the Mini Moores. Many thanks to KFMs Ger Mc Nally for acting as MC, and members of our senior panels for joining us. 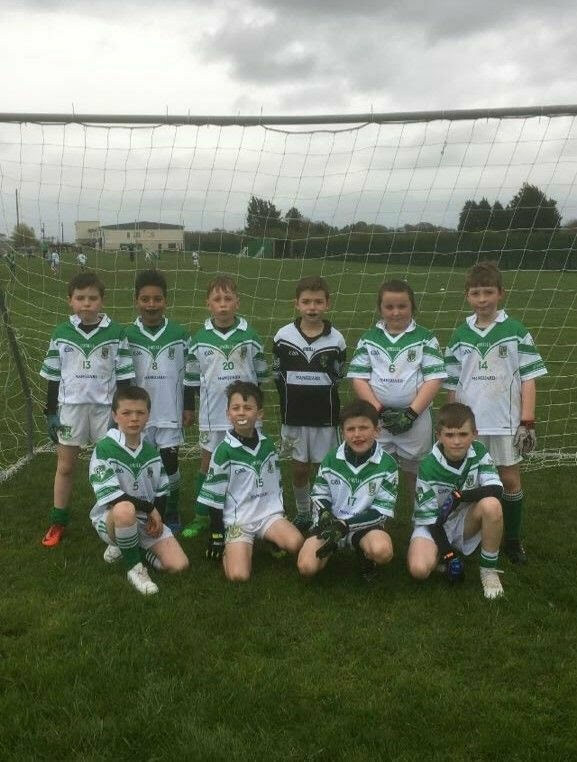 Our U9s travelled out to be Robertstown last night to play their Rd 4 match of the U10 league, the kids fought hard right to the end and showed great skills throughout the game. Our U9s took a well deserved trip to the K-Bowl for a night of fun & bowling to mark the end of the U9 League. Great fun was had by players and mentors! Photographs are available on the link above…. Well done to the four Under 9 teams who took part in the South Board League last night. There were great performances by all. Our fifth team had a bye. 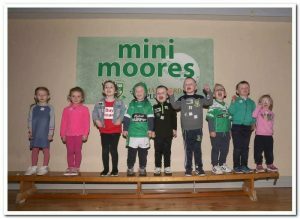 Mini Moore’s training continues on Saturday at 10.50am and new members are always welcome. Well done to the 5 Mini Moores teams which took part in the U9 League. All our teams were on the road between last night and tonight visiting St Laurences x 2, Kildangan, Athy & Nurney. Great performances have been reported by everyone! The U9 “yellow” team played Castledermot tonight. Great skills and teamwork were on display. Well done everyone! Four of our U9 teams played host to teams from Sarsfields (x 2), Robertstown & Round Towers tonight. There were displays of excellent skills and determination from all of our teams. Well done to all involved! Our fifth U9 team will play Suncroft on 18th April. U9 Training continued tonight in Scoil Na Naomh Uilig. A great time was had by all our Mini Moores. New members are always welcome! Well done to our three Mini Moore’s teams who took part in the U10 League this evening. 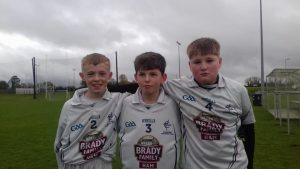 They played teams from Ballyteague, Kildangan and Grange. The boys put in massive performances tonight, the skills on show from the teams was of a very high standard. 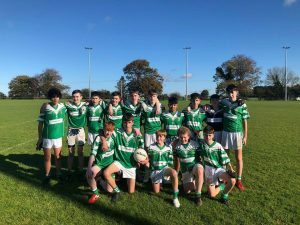 Our remaining boys trained in the club with senior footballer James Murray and had a mighty training session perfecting their skills. Well done to our two U10 and U11 teams who took on teams from Kilcullen tonight. There were great performances by both teams. Great fun was had by all! 4 of our 5 Under 10 Mini Moores football teams played league games tonight against Nurney, Monasterevin, Castledermot and Kilcullen.